Have you ever tried riding with a leather jacket in the middle of scorching summer? You are not going to like that sweaty feeling. But of course, riding without any type of protective gear due to heat is a downright bad idea. The Answer? Mesh Motorcycle Jackets at wickedstock.com! Our Mesh Motorcycle Jackets are designed to keep you cool in the hottest weather while providing the protection to keep you unhurt in case of a get off. 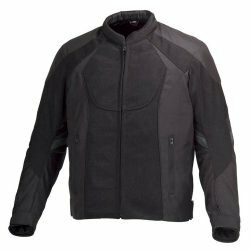 Most of our Mesh Motorcycle Jackets have a highly abrasion resistant chassis made from 600 Denier Polyester fabric. Many jackets have ultra-abrasion resistant 1080 or 1680 Denier panels in strategic impact areas like elbows and shoulders. 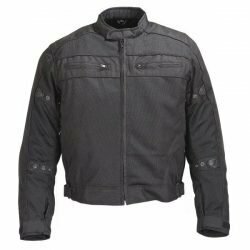 All our Mesh Motorcycle Jackets have same safety features as our Textile Motorcycle Jackets or Leather Motorcycle Jackets. 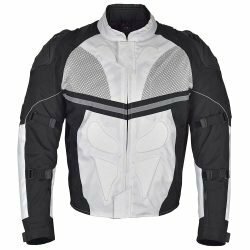 All the Mesh Motorcycle Jackets at wickedstock.com have pre-installed 5 pieces of CE Certified armor; 2 elbow, 2 shoulders and a back protector are all EN-1621-1 CE compliant. Many of the Mesh Motorcycle Jacket models have built in breathable waterproof liner that will allow you continue your ride during the rain. Our designers have gone a step ahead and created removable thermal liners for some of the Mesh Motorcycle Jackets. These liners come in handy for chillier rides and make your mesh jacket usable for spring and early fall as well. We did not forget about bad weather and night time visibility and made sure to insert enough Hi-Viz and reflective panels to keep you noticed and protected. All of Mesh Motorcycle Jackets have pant-jacket integration zippers, enough storage pockets and all original YKK zippers for your peace of mind. As always, we ship for free throughout continental US and exchange for free. 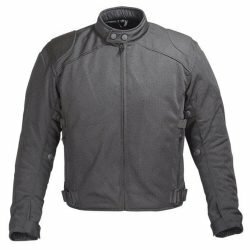 Go ahead and pick your Mesh Motorcycle Jacket from our extensive collection of Men’s Motorcycle Jackets. Need any questions answered? Call or text @410-585-5467 or better yet just chat with us online.